A project featuring some of the key improvisers of the burgeoning Nordic scene, this record sounds uncluttered and spacious, full of atmosphere: it has a certain gentleness. Brought together and produced by drummer Anders Thorén, the music is folk-infused jazz fitting solidly in the Scandinavian tradition. Each member of the quintet has a chance to assert his musical character, though perhaps Helge Lien's thoughtful piano and Tore Johansen's melancholic trumpet are to the fore. Different members of the band are credited with different tunes, guitarist Per Orvang contributing three tunes, Thorén two and Lien, Johansen and bassist Anders Ljungberg one each. The result is a well balanced, considered conversation. The music is understated, but there is emotion lurking below the surface: it is cool but not cold. There are no fireworks, no hyperbole, but lots of creative imagination. Johansen's moody trumpet sounds at times like distant singing; Lien's melodic piano slowly draws one into the soundscape. And Orvang's guitar-work has a light feel that hovers like mist. 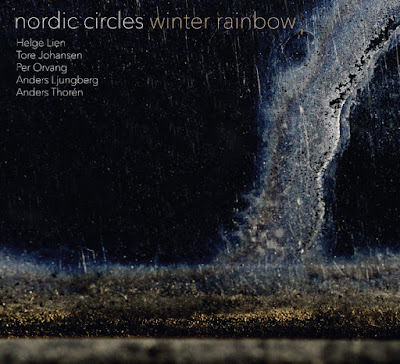 Behind it all is the subtle interplay between Thorén's drums and Ljungberg's bass, very gently insistent. It is hard to pick out individual tracks – each have their place, building a whole, gently evocative picture. Free for Five has, as its title implies, a loose, open character, with Johansen's mournful trumpet predominant. On Leon, Orvang's guitar is to the fore with a folk influenced melody before Lien's takes the centre stage with solo that has a flavour of the Europe's celtic fringes. A tune with the name Silent Scream might be expected to have repressed Munchian angst at its centre, but whilst it might be one of the more intense pieces on the album, it is a melodic exploration more optimistic than its title would suggest. It adds up to album of deep but buried emotion, contemplative and atmospheric.